We all know Paul Dano as an actor who has done amazing work in films like Prisoners and Love & Mercy but now Dano takes the director’s chair with the new film Wildlife. The film, starring Jake Gyllenhaal (Brokeback Mountain, Nightcrawler) , Carey Mulligan (Shame, Never Let Me Go) and Aussie Ed Oxenbould (Better Watch Out, The Visit) today had its trailer released to the public. This week on The Good The Bad The Ugly Film Show Adam, Dave, Greg and Nick take a look at new release films ‘Far From A Maddening Crowd,’ ‘Zero Motivation’ ‘Minions,’ ‘Love & Mercy,’ ‘Eden,’ and ‘Ted 2′ . This episode also contains interviews with Carey Mulligan, Sandra Bullock, Seth MacFarlane, Laurence R. Harvey (The Human Centipede III), Suumer Harris (Rites Of Passage) and Daniel De Fillippo (Rites Of Passage). Plus we launch a great new competition this week. Thanks to eOne Entertainment we have some limited edition posters from Dolph Lundgren’s new film Skin Trade to giveaway. Make sure you listen in for your chance to win. Also thanks to eOne Entertainment you have a chance to win a copy of Song One starring Anne Hathaway on DVD. And you also get a chance to win passes to see Love & Mercy, starring Paul Dano and John Cusack, in cinemas on June 25 thanks to Icon. Five lucky people will also win The Beach Boys’ Greatest Hits album to go with their passes. Make sure you listen to this week’s show to see how to enter all these competitions. Summary: Shambolic and and self-absorbed, Llewyn (Oscar Isaac) is a penniless musician trying to make it as a solo artist. Roughing it on the couches of barely sympathetic friends, he scores the occasional gig at a bar in Greenwich Village but struggles to break through despite earlier success with his former musical partner Mike. Things go from hapless to hopeless when Llewyn discovers that his fling with married songstress Jean (Carey Mulligan) has resulted in a very unwanted pregnancy..
“Inside Llewyn Davis” is a strange film. Not strange in the Terrence Malick-you’ll-never-understand-this-in-a-million-years way but strange in the sense that the Coen Brothers seem to want to break so many film making laws with the film that is should be universally despised. Instead it turns out to be a warm film that slowly grows on its audience. The film follows Llewyn Davis (Oscar Isaac) a down on his luck musician who dreams of one day making it big, despite the fact that everything he touches turns to crap. He has no home and instead just drifts from couch-to-couch, whether it be the rich couch of Mitch Gorfein (Ethan Phillips), that leads to an adventure with their cat, or the couch of his musician buddy, Jim (Justin Timberlake). Just when it seems that is life couldn’t go lower Llewyn discovers that he has now got Jim’s partner Jean (Carey Mulligan) pregnant and his new album is making no money at all. Faced with the fact that he needs to make money fast for Jean’s abortion he tries one last desperate bid to get his career on track. The Coen’s have bad “Inside Llewyn Davis” a slow film but they also seem to do the impossible and make a film likable where all the characters are unlikable. Llewyn is far from likable, yet for some reason you find yourself barracking for him to get somewhere in life. Then there is a Jean a bad tempered character whose easy stance on abortion will sit uneasily with some audience members. 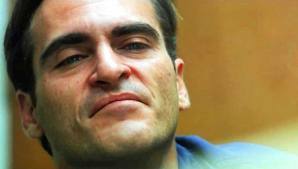 Yet there is something in the power of the Coen’s writing that makes you want to like this film. Characters such as the heroin addicted, foul-mouthed jazz musician Roland Turner (John Goodman) may be unlikable but they sure are memorable. “Inside Llewyn Davis” is also one of those films that strangely makes you realise (after the credits have rolled) that not much actually happened throughout the film, yet for some reason it never, ever gets to the point where it is boring. The story meanders its way through a short period of Llewyn’s life and the journey is made sweeter by the fact that it contains a dreamy folk music soundtrack that is enhanced by the great vocal stylings of Oscar Isaac, Justin Timberlake and Adam Driver. If you don’t like folk music however then you don’t stand a chance of being drawn into this film. As is the case with most Coen brothers films the film is brilliant cast. Isaac excels in a challenging role that sees him having to not only act but sing songs in their entirely, yes in a way this film is a musical. Carey Mulligan and Justin Timberlake are serviceable yet underused in their roles while just like so many of his recent films John Goodman steals the show playing an over-the-top character that just sadly seems to peters out as the film goes on. This is very much a film that will divide audiences and critics alike. Some will like it’s alternative style of story-telling while others will feel that the fact it goes around in one big circle and doesn’t really go anywhere makes it very, very annoying. “Inside Llewyn Davis” is an acquired taste but it is one that I quickly warmed to. Other Subculture Media Reviews of ‘Inside Llewyn Davis′: Please check The Good The Bad The Ugly Film Show Ep #65 for our full 47 Ronin review. 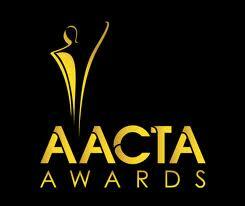 The cream of Australian cinema will soon converge on Sydney for the AACTA Awards, so let’s take a look at the 2013 AACTA Award nominees. 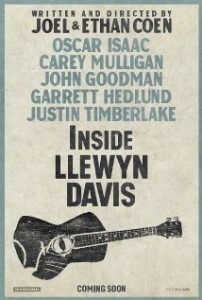 A second trailer has just been released for Ethan + Joel Cohen’s new film ‘Inside Llewyn Davis’. The film stars Oscar Isaac, Carey Mulligan, John Goodman, Garrett Hedlund and Justin Timberlake and is due for release on the 20th December in the U.S. 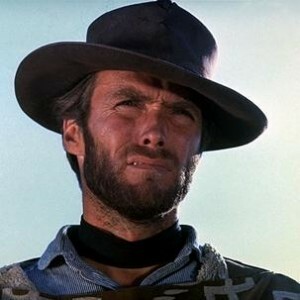 In Episode 38 of The Good The Bad The Ugly Film Show Dave, Nick and Greg took at look at what they feel are the best acting performances in films made after the year 2000. Summary: The Great Gatsby follows Fitzgerald-like, would-be writer Nick Carraway as he leaves the Midwest and comes to New York City in the spring of 1922, an era of loosening morals, glittering jazz and bootleg kings. Chasing his own American Dream, Nick lands next door to a mysterious, party-giving millionaire, Jay Gatsby, and across the bay from his cousin, Daisy, and her philandering, blue-blooded husband, Tom Buchanan. 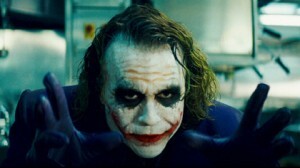 It is thus that Nick is drawn into the captivating world of the super-rich, their illusions, loves and deceits. As Nick bears witness, within and without the world he inhabits, he pens a tale of impossible love, incorruptible dreams and high-octane tragedy, and holds a mirror to our own modern times and struggles. Please check Greg’s review of ‘The Sunset Six’ that is available on The Crat. Other Subculture Media Reviews of ‘The Great Gatsby′: Check Episode #34 of our The Good The Bad The Ugly Podcast for a more in-depth review of ‘The Great Gatsby’. 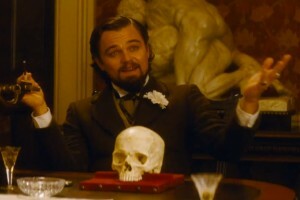 As Australia eagerly anticipates the release of ‘The Great Gatsby’ the cast and crew share their thoughts on the film.